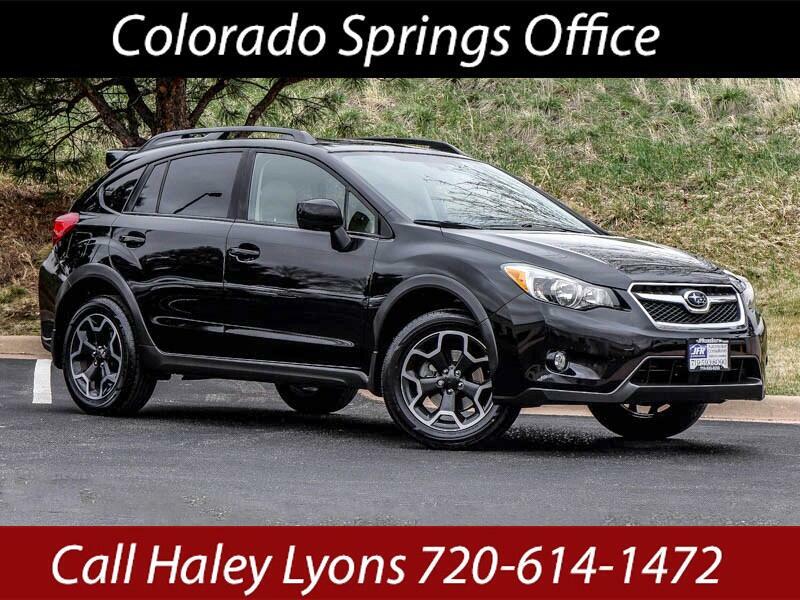 Used 2014 Subaru XV Crosstrek 2.0 Limited for Sale in Littleton CO 80120 JFR & Associates, Inc. This low mileage Crosstrek has just the right touch of versatility, style, and fuel economy to make it a perfect fit for those looking for a well-rounded crossover SUV. This Subaru Crosstrek Limited comes with a clean history report. No accidents or damage reported to CARFAX. You'll appreciate the luscious combination of flavors this Crosstrek offers... such as the wagon like personality, the enhanced off-road ability and the all-wheel-drive system that makes this SUV so delicious and desirable. The cabin offers an embellished, clean and straightforward interior design with a well laid out control panel that is easy to use and right at your fingertips. Road and wind noise are well isolated and minimal. This Subaru Crosstrek comes with a delightful amount of options like Bluetooth integration, alloy wheels, sunroof, tinted windows, Satellite Radio, rear spoiler, navigation, heated front seats, MP3 CD player, leather seats, plus lots more to make your driving experience more enjoyable. You are cordially invited to take this highly desirable Subaru Crosstrek for a test drive and discover for yourself why this SUV is so popular. Contact us today and schedule a test drive. You'll be glad you did.